Afroskull returns to the Bowery Poetry Club for the first time since 2007. 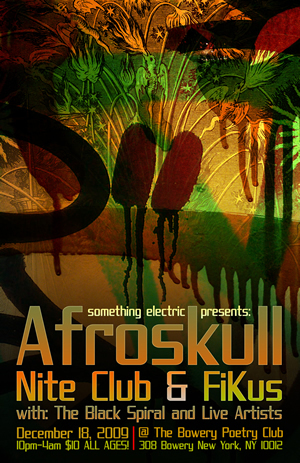 Join us at this great sounding venue for a night of funk and jams starting at 10:30pm – this is our last show of 2009! We’re up first with a nice long set featuring Bearded Jon Stonbely on bass and our razor-sharp horn section, followed by our new friends Nite Club and Fikus. See you there! Thanks to everyone for coming out and making some noise at our CD release party last night! It was truly awesome. We are pleased to inform you that the new CD is now available! 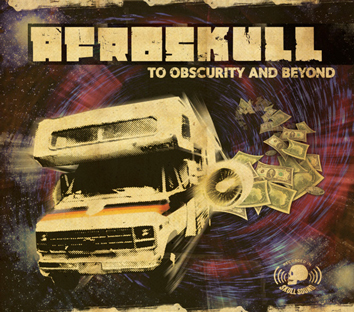 To Obscurity and Beyond features nine mind-blowing Afroskull originals. Jazz legend Ronnie Cuber joins an expanded horn section to breathe fire into Joe Scatassa’s high-wire horn arrangements while the rest of the band pours on the gasoline. 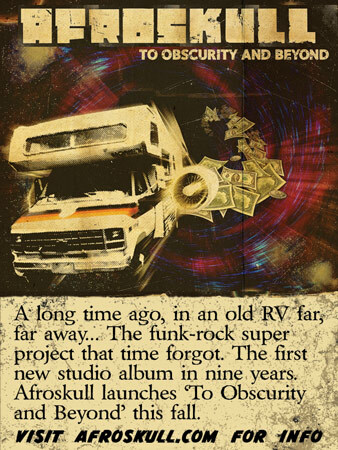 To Obscurity and Beyond is the culmination of four years worth of writing and recording specifically designed to melt your face! The wait is finally over. Order your copy today! Thanks to all who came out to the Parkside Lounge a couple of weeks back. We’ll be back there on Friday, September 18th. More details about that and more will be coming soon. In the meantime check out Greg Aiello’s photos from our most recent gig. People of the funk, get ready. Afroskull is back. This friday night at our second home, the Parkside Lounge, the monster uglyfunk party commences. In the spirit of musical acrobatics, we’re dusting off a few oldies but goodies that we haven’t attempted in a few years, plus covers by Rush and Funkadelic. We’ll be joined by guest vocalists Isaac Davy Aronson and Donny Dykowski too. So if you’re dealing with the post-holiday blues, there is no better place to soak in some live music and adult beverages than at Parkside this friday night!